Organised annually by the Malta Sailing Federation. Each year this popular event is hosted by a different Club and this year the Dinghy Sailing Championships will be hosted by the Royal Malta Yacht Club. The championships are open to all dinghy sailing classes. This year participants will come mainly from Malta Young Sailors Club, Birzebbugia Sailing Club and Royal Malta Yacht Club in the following classes: Optimist, Laser 4.7, Laser Radial, Laser Standard, RS Feva and RS Vision. Racing will take place along the coast just off Tigne point on Saturday and Sunday from 11:00hrs onwards. 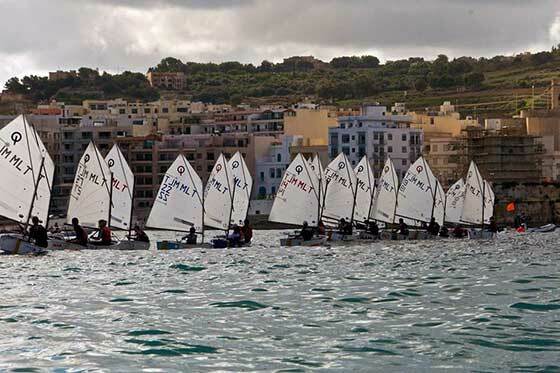 The prize-giving ceremony will take place at the Royal Malta Yacht Club on Sunday afternoon.